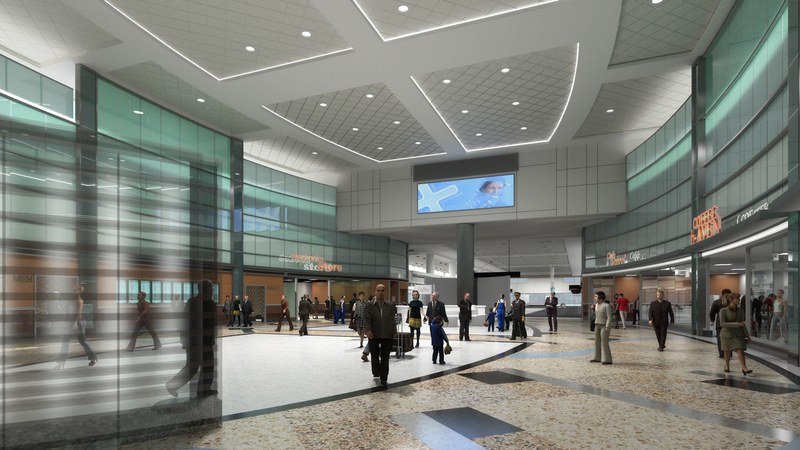 The Roybal Corporation was the Associate Architect and the Design Lead for the Carter & Burgess design team on the Concourse C Expansion project. 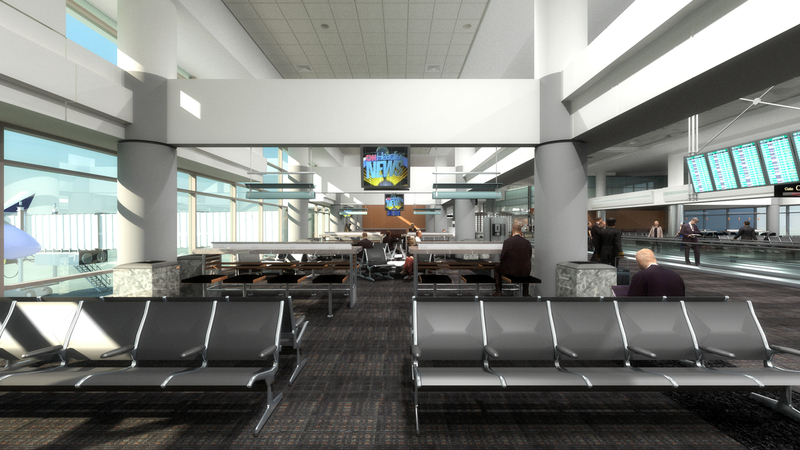 The new Concourse C East 10 Gate Expansion was designed to provide facilities for mainline airline operation. The original facilities at DIA were planned to accommodate up to 50 million passengers; DIA recorded 49.9 million passengers in 2007. This new facility helps DIA to increase its capacity. 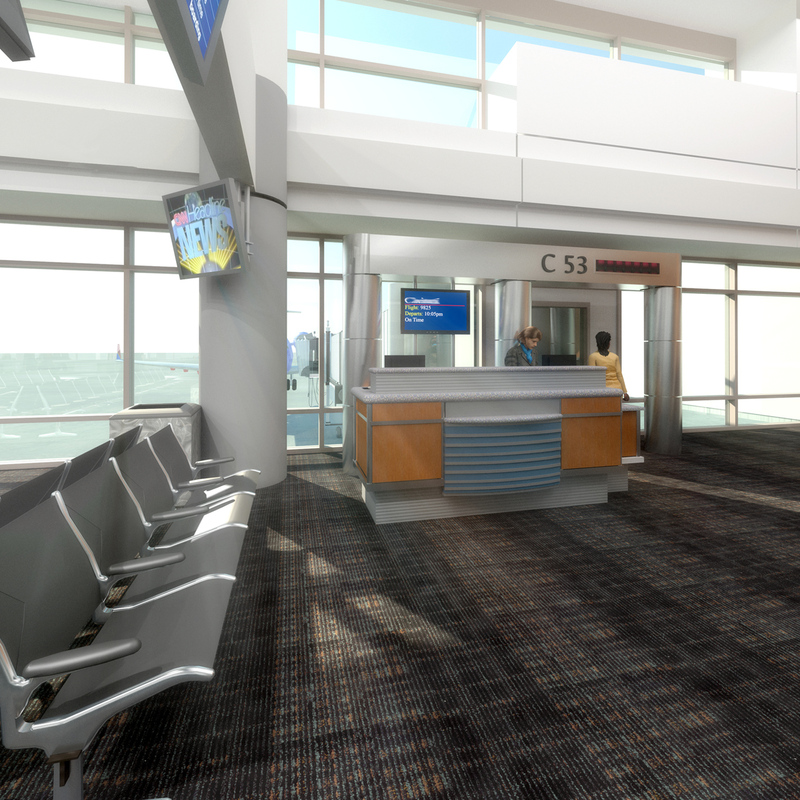 The Concourse C Expansion building is approximately 285,000 sf on five levels. 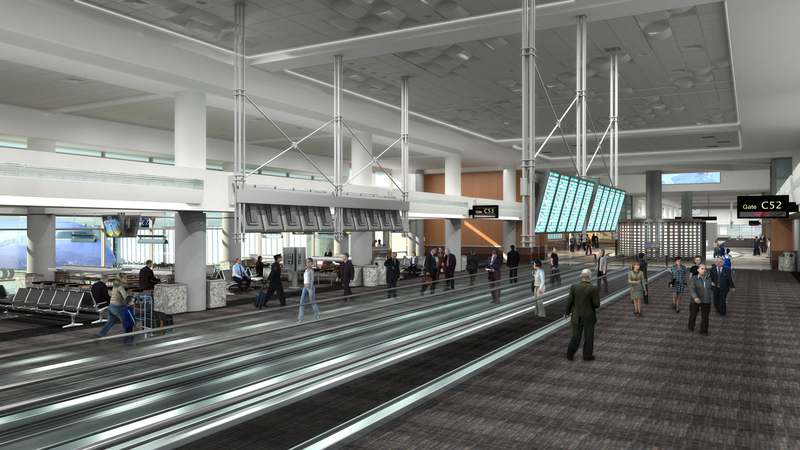 Programmatically, it will connect with the original Concourse C building. The Sub-core footprint has been increased on the Concourse and Mezzanine levels and internally redesigned to allow for increased concessions. 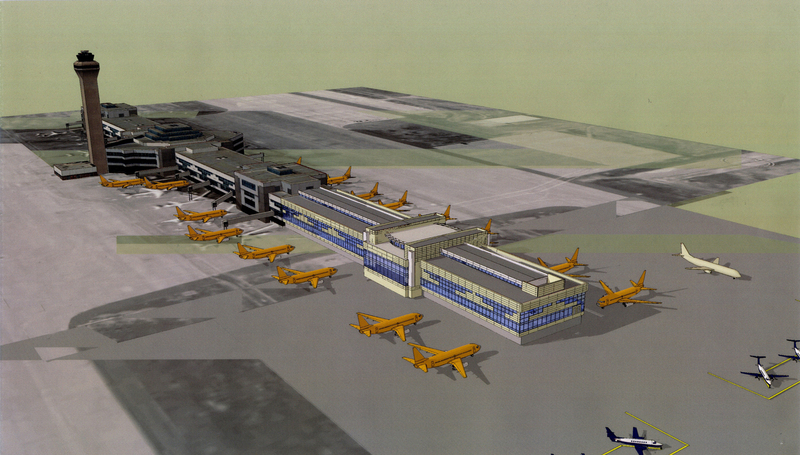 The airfield and apron areas immediately adjacent to the Concourse C Expansion is a part of this project. All gates accommodate Boeing 757 aircraft. The basement level is used for baggage handling space. The apron level consists of Airline Lease Space, Airline Ground Service Equipment storage, and future automated baggage handling systems. The concourse area is divided into two primary uses, Hold Room areas, and a Sub-core. The Hold Rooms are associated with the Airline Gate locations and has a Common Use Terminal Equipment (CUTE) at Gate Podiums. There are Flight Information Displays along the Concourse. 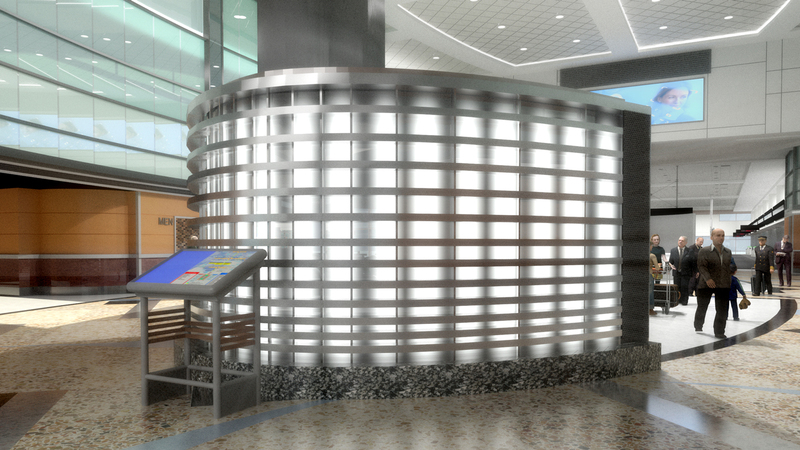 The Sub-core contains customer service areas with retail, food and beverage concessions, an elevator serving all levels, and public rest-rooms. The mezzanine level contains tenant lease space primarily intended for office use and minimal building services. Mechanical penthouses are located at the roof level.